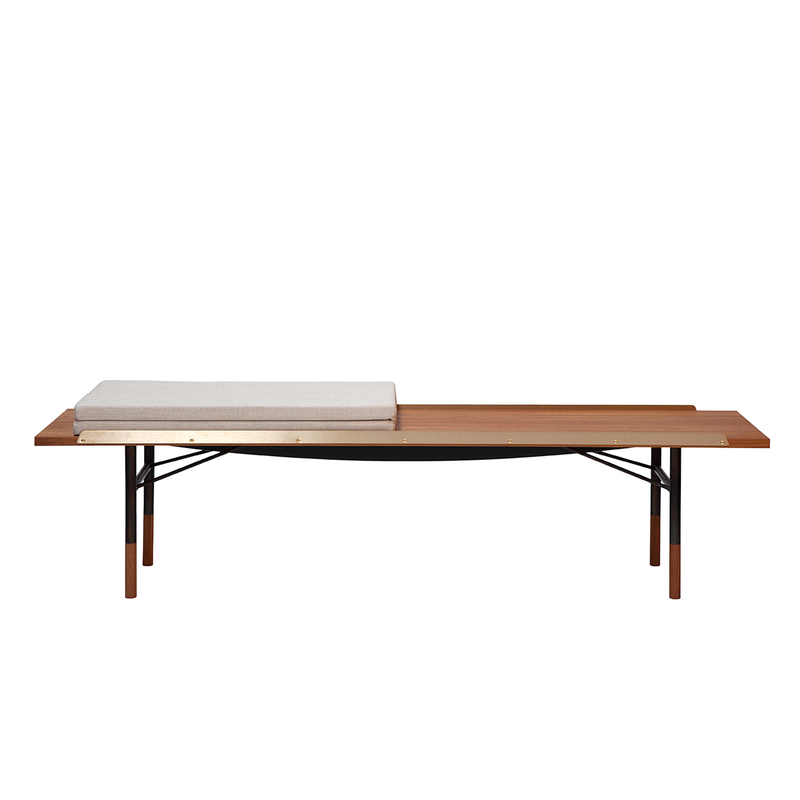 A Bench or a Table – used for both, designed by Finn Juhl for BOVIRKE in 1953, as part of a series of furniture with a simple steel frame in burnished steel. The Bench is in the design family with furniture such as the Nyhavn Table and FJ Sideboard. 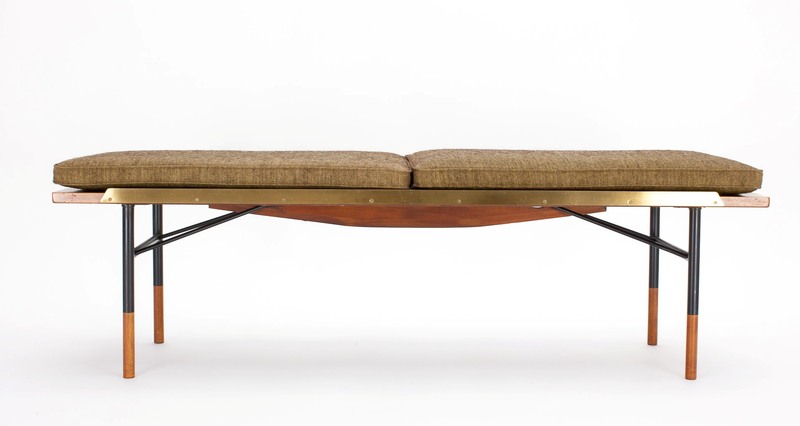 Finn Juhl had an international breakthrough in the USA in the early 1950s and achieved great fame; especially for his design of the United Nations Trusteeship Council Chamber in New York, but also for his furniture and exhibitions. The Bench was part of the large travelling exhibition in North America “Design in Scandinavia”, which came to 22 cities from 1954 to 1957 with a total of approximately 650,000 visitors. As a result of this and because of its light, elegant and timeless design, the Bench has always been a popular piece of furniture that has achieved extremely high prices at auctions around the world. The Bench is relaunched in three lengths: 112, 170 and 225 cm, height: 39 cm, width: 45 cm; and in walnut, teak, oak and Oregon pine with hand-burnished steel frame with wooden toes. 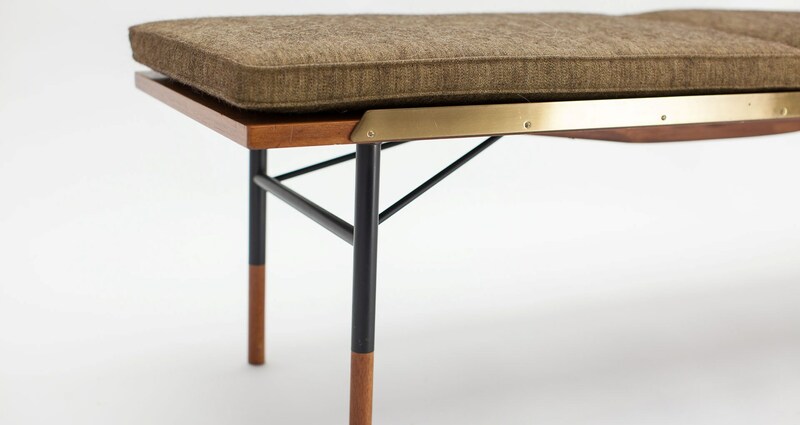 The Bench comes with edges in matt polished brass. Furthermore, the Bench is available with a cushion.